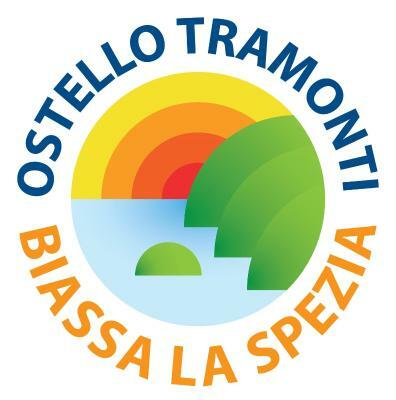 Lock in a great price for Ostello Tramonti – rated 8.4 by recent guests! Many solo travelers to talk with, they have a fridge to put our own food, the hot water and microwave. I love the shuttle bus, it makes us easier to go anywhere, the staffs are also nice! 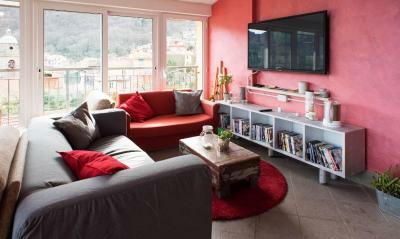 Very helpful and friendly staff, supplied everything needed for a great day at Cinque Terre. 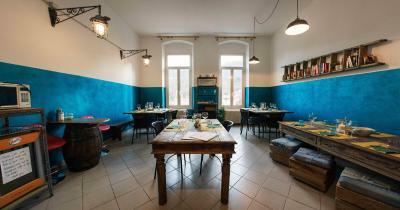 Excellent restaurant and common room. The stuff was amazing! He explained everything to us and saved us a lot of time (helping with the tickets for La Spezia, giving directions for the trekking, giving some advices...) very well trained and respectful. Clean and good vibe. 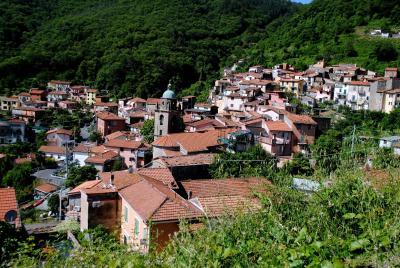 When we arrived, they welcomed us really nicely and they helped us a lot about our journey through Cinque Terre. 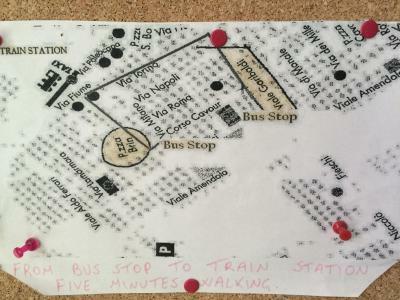 He gave all the information and arrange us the shuttles for morning for 1€ cost for a person. If you come early to this place, There isn't too much things to do around but there was guitar and we create our own night with other guests. 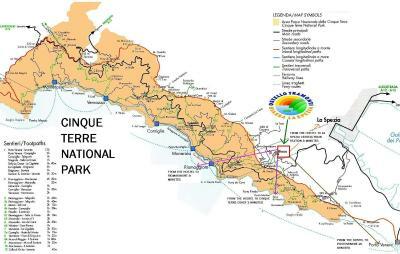 I can recommend this place to who wants to explore Cinque Terre. It is really easy to reach there with shuttle's of hostel. 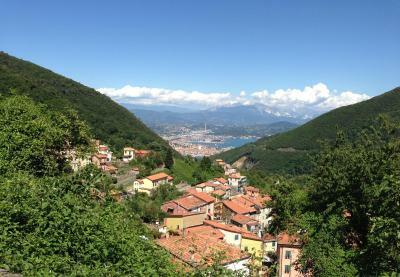 Shuttle bus service to Cinque Terre is good. Clean and comfortable. Staff are friendly and helpful. Quite location. Really recommend a stay for planning to Cinque Terre. Everything. The common room was really nice, the location awesome with really beautiful views. I met amazing people there. 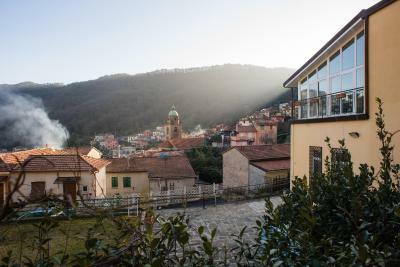 Set on the northwestern hills above La Spezia, Ostello Tramonti lies in the village of Biassa, less than 1.9 mi from the Cinque Terre area and 15 minutes' drive from La Spezia. Parking and Wi-Fi are free. 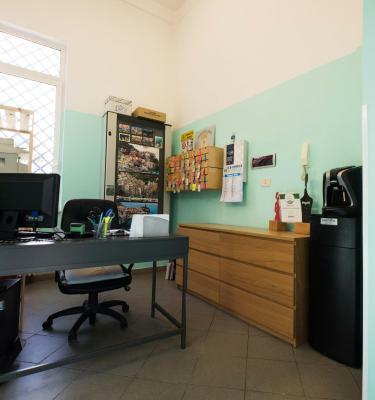 This hostel offers simple rooms with a shared bathroom, tiled floors and functional furnishings. 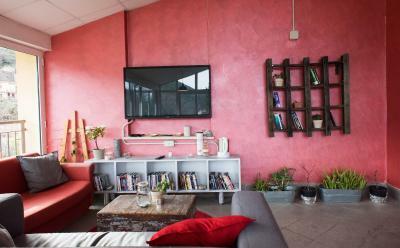 There is also a shared lounge with TV and small library. 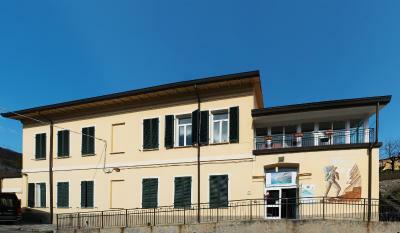 Bus 19 to/from Piazza Brin in La Spezia stops in front of this hostel. 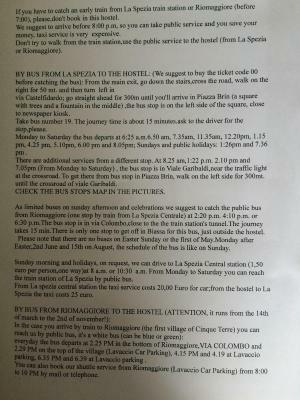 At the multi-language reception you can also book a shuttle service to/from the seaside and Riomaggiore Train Station. 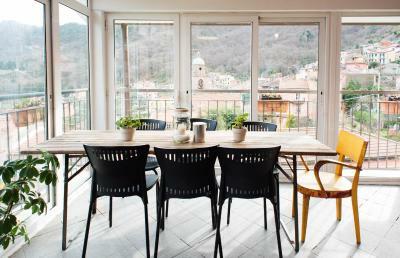 Guests staying 3 nights or more, enjoy daily free transfer to/from Riomaggiore's seaside. 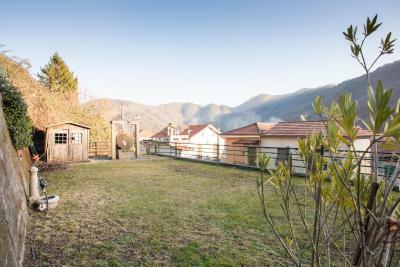 When would you like to stay at Ostello Tramonti? With simple furnishings, this room has individually controlled heating. Free Wi-Fi is available. The shared bathroom is on the same floor. 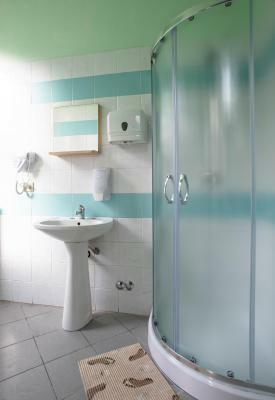 Bed linen is included in the price, and towels are available at extra cost. Bunk bed in a dormitory for a total of 4 guests. The bathroom is shared. Wi-Fi is free. Bunk bed in a dormitory for a total of 4 women. The bathroom is shared. Wi-Fi is free. Offering free WiFi, this unit features a shared bathroom. House Rules Ostello Tramonti takes special requests – add in the next step! Ostello Tramonti accepts these cards and reserves the right to temporarily hold an amount prior to arrival. Please note that curfew starts at 01:00. The rooms are not accessible from 10:30 until 14:30, due to cleaning purposes. The location is slightly tricky. If there was just a better way to figure out how to reach there it would be lovely! 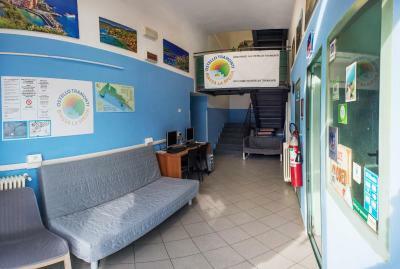 It's an excellent location and the organised transportation by the hostel was great specially on Sundays..the friendly environment with chance for nice chat with other guests..I would recommend it. Biassa is very calm and beautiful . Loved the atmospher so so much . 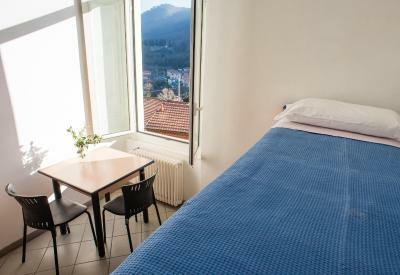 no kitchen to prepare own food, bring food from La Spezia or other towns as only a small shop nearby; eating options are either the hostel menu, or the nearby pizza place (good value, but was closed on one day). The location is not super however they do provide multiple buses throughout the day to accomodate for the location. The staff were incredibly nice, hospitable and provided a great experience and stay. Everything was just fantastic. The only thing I missed was a proper facility to make a cuppa tea or coffee etc. There was a jug but not nicely accessible. Location... Location... location. Also the shuttle service. Lovely helpful staff and nice food in there reasanable priced restaurant. Only critique would be squeaky bunks with ladders that reeeaaaalllly hurt your feet when climbing, and no shelf or power point near the beds. We needed to make a communal USB charging point for the whole room. Weird location, quite out of the way but the shuttle service means that’s a good thing to get a nice quiet chill out after a long day. Staff were wonderful (really great at suggesting activities within Cinque Terre), rooms were good, bathrooms were clean, definitely try the cocktails upstairs...delicious food too. 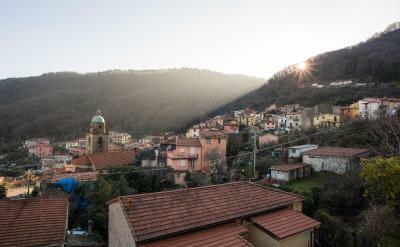 The only downside was getting there on the first day, as there is no shuttle service from La Spezia to the hostel (going from the hostel to La Spezia is available). I took the public bus. It was a bit tricky because some streets were closed on Friday for the market, and the next bus stops didn't list bus no. 19. So I was very confused. But the bus 19 came anyway, thankfully; but I almost missed it because it was much smaller than usual (like a commuter bus). But of course, these are not the hostel's fault. A great place! Friendly staff. Convenient shuttles. A beautiful, quiet, green neighborhood. Delicious, affordable food at the hostel restaurant. Very spacious lockers (but you have to bring the padlock). Nice atmosphere! Very nice and good restaurant! Free shuttle service. Nice + helpful staff. Easy to meet people. 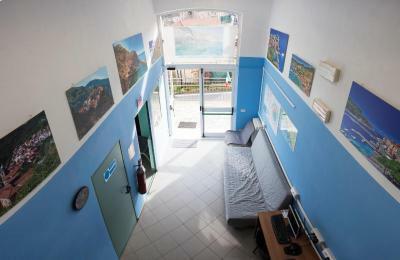 I would warmly recommend to stay there, cos the hostel is clean and stylish. The staff are very friendly and kind, the food was lovely too! I would definitely would like to go back. Excellent service in restaurant, very good pasta and pancakes. So very kind all the staff, Waiting and anscious to return . I got a bed bug bite on one of the nights. Another fellow traveler who stayed in the hostel complained of the bed bugs too. Bed bugs are the worst experience if they crawl into your bag and land in your home, please be aware.